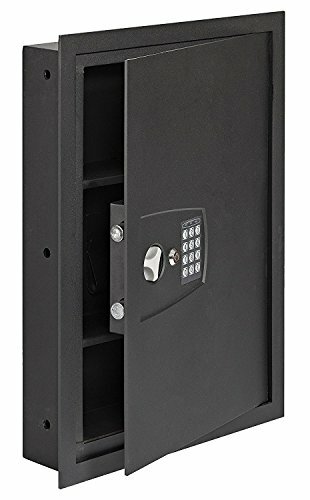 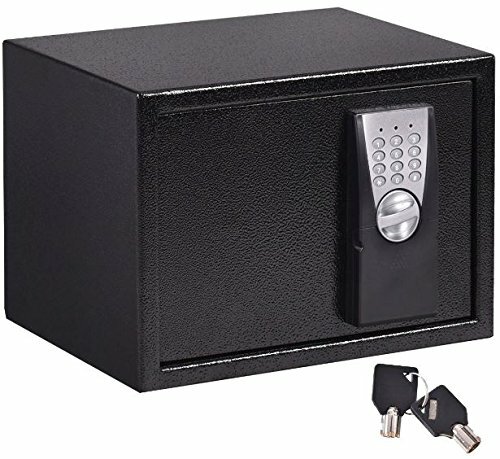 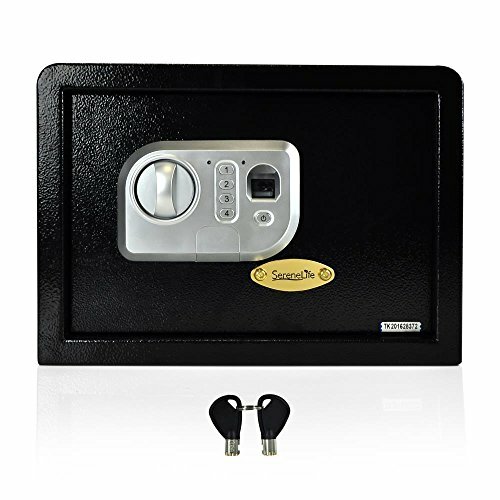 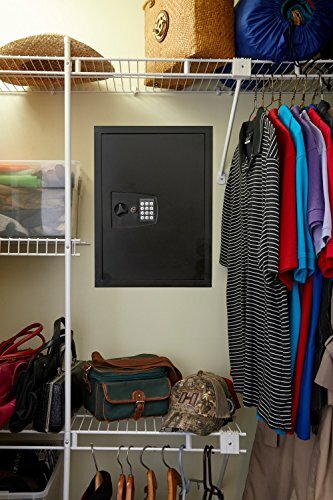 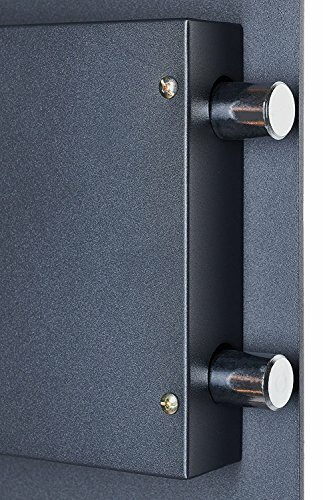 Categories: Best Gun Safe Under 500 dollars, Best Home Gun Safes, Best SnapSafe Gun Safe, Gun Safes, Hidden Gun Safes, Home Safes, Safe Brands, SnapSafe Gun Safes, Steel Gun Safes, Top Gun Safes 2019, Wall Safes. 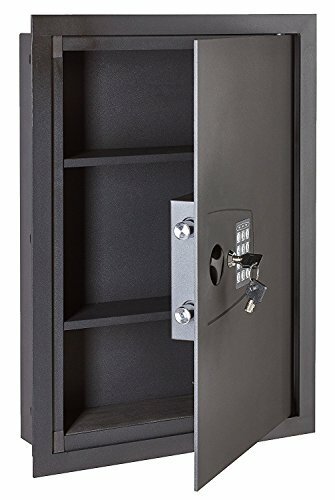 Constructed of 16 gauge steel body and .15″ steel door. 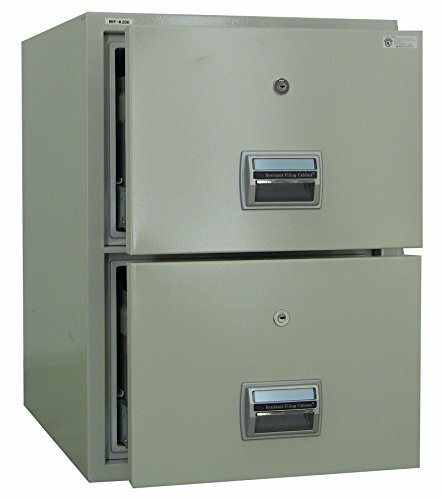 Exterior measures: 16.25″W x 22″H x 4″D. 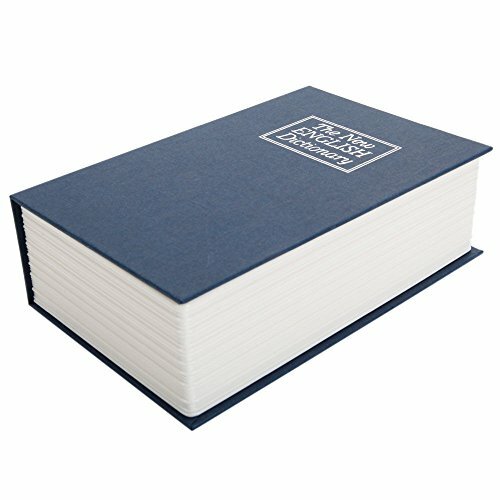 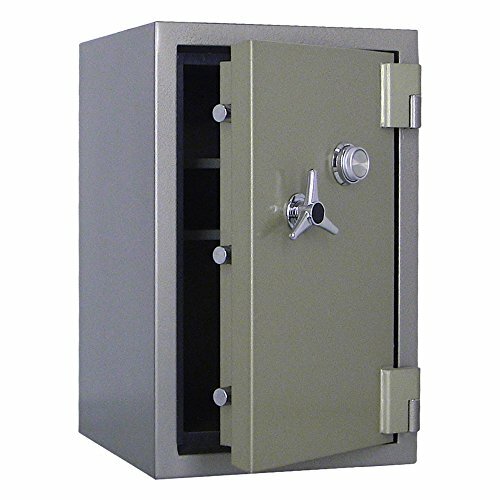 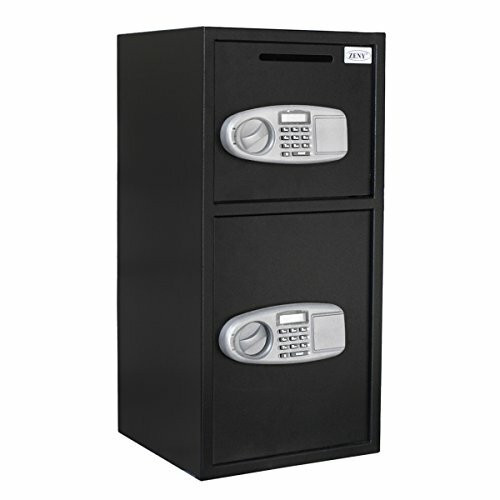 Interior measures: 14 3/4″W x 18.25″ H. Weight of safe is 35 lbs. 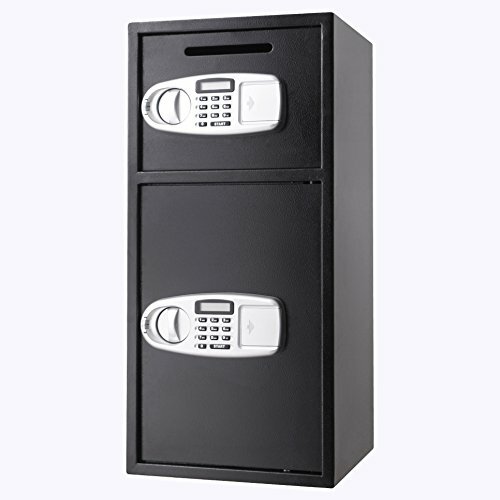 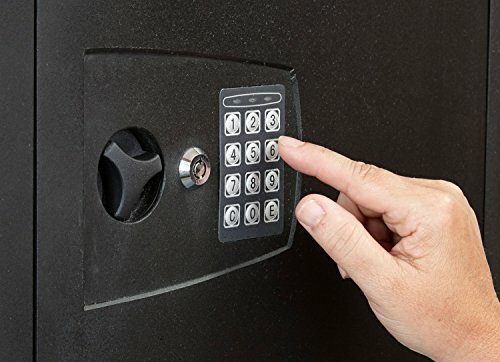 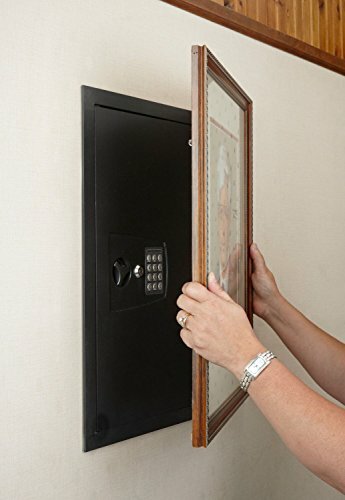 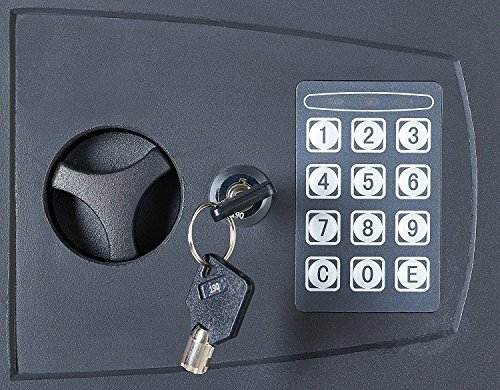 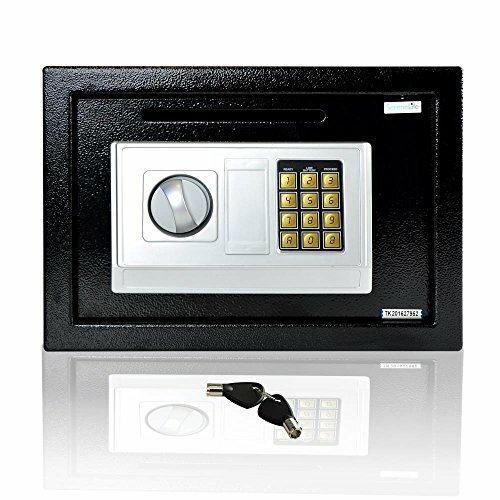 Features an electronic keypad lock with key backup. 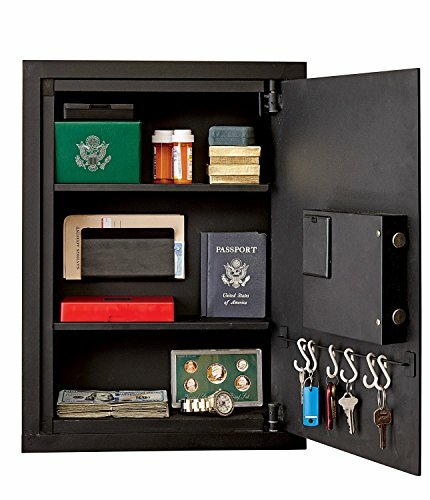 Features two storage shelves and a magnetic jewelry clip and document holder included. 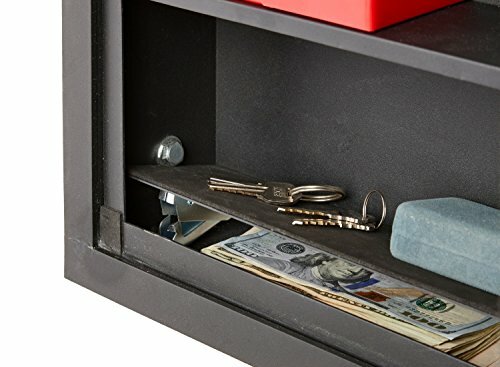 Hidden security compartment on bottom shelf.